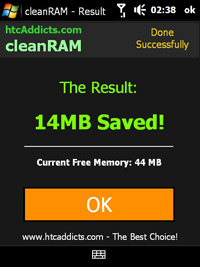 cleanRAM v2.50 freeware for Windows Mobile Phone. cleanRAM - The Missing Piece of Windows Mobile! 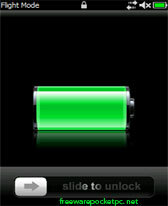 One solution when your PDA slows down is to reset (reboot) and the another is to use cleanRAM. Welcome to a world without Soft Rest !! Release memory for Windows Mobile devices. Amazing utility which helps you to clean up the wasted RAM memory without having to restart the device and eventually saves a lot of time. ■ There are 3 levels of cleaning + personally customized processes list. ○ Define all cleanRAM behavior. ○ Hibernate for old devices. ○ Close all applications - force closing all applications. ○ Launch startup programs after cleaning ended. 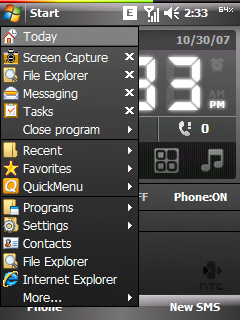 ○ Clear recent start menu items. ■ Multilanguage supported with option to add new language. (more information), also you can check this Language Packs List. 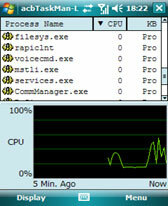 ■ Customized Processes List - custom level that help you to define the process(es) you wish to clean. ○ Notify you before cleanup starting. ○ Wake up device before cleanup. ■ Exceptions List - add to exceptions list: program(s) / process(es) and also you can select "startup shortcuts" that you want to skip/ignore. 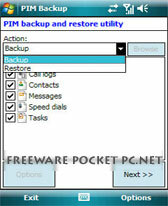 ■ Backup / Restore - backup all your cleanRAM settings into INI file. You can also select and load default settings from recommended settings reservoir list. ■ Update Service - update cleanRAM to latest version directly from the cleanRAM. configuration (this feature using internet connection). also you can reinstall your last version. very very good! works great on htc trinity! im using HTC Touch HD and it is quite good. Should try. not sure if this is the good one for wm6.5 it worked well on older devices but on my new htc my mobile is slower after level 2 cleaning. works great with HTC HD2 always,thanks.